Aurora, CO, August 16, 2018 — HCA Healthcare/HealthONE’s The Medical Center of Aurora (TMCA) has been recognized as a Best Hospital for 2018-19 by U.S. News & World Report. The Medical Center of Aurora also was also recognized as high performing in the specialties of Gastroenterology and GI Surgery, Geriatrics, Nephrology, Pulmonology, and Heart Failure. 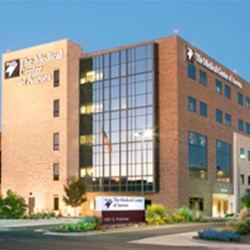 The Medical Center of Aurora has served Aurora and the surrounding areas for nearly 45 years. The organization began as two separate campuses in the 1970’s that eventually merged into one organization. Over the years, TMCA has grown to six campuses that include the TMCA South Campus, the North Campus Behavioral Health and Wellness Center, Centennial Medical Plaza, Saddle Rock ER, Spalding Rehabilitation Hospital Aurora and Spalding Rehabilitation Hospital at Presbyterian/St. Luke’s Medical Center.